This season, she performs Violetta in La Traviata with Edmonton Opera and reprises the role of Bess in Porgy and Bess with Detroit Symphony Orchestra, Baltimore Symphony Orchestra, and Grange Park Opera in the UK. She will also create the role of Josephine Baker in Tom Cipullo’s Josephine for Opera Colorado. In her compelling début as Bess in Porgy and Bess with the San Francisco Opera, Opera News said “Laquita Mitchell, in her first outing as Bess, dazzled the SFO [San Francisco Opera] audience with her purity of tone and vivid theatrical presence.” She has since reprised the role with The Atlanta Opera, The Tanglewood Festival, Madison Symphony, Boston Symphony Orchestra, Cleveland Orchestra, Toledo Opera, Springfield Symphony, Baltimore Symphony, Santa Barbara Symphony, Jacksonville Symphony, Sheboygan Symphony, Traverse City Symphony, the Margaret Island Open-Air Theatre in Budapest for their summer festival, and as the season opener for the Energa Sopot Classic Festival with the Polish Chamber Philharmonic Orchestra. Additionally, PBS invited Ms. Mitchell to perform a solo recital including excerpts from Porgy and Bess with pianist Craig Terry for the Television Critics Association Press Tour in Los Angeles in preparation for the broadcast and DVD release of SFO’s Porgy and Bess. An active concert artist, Ms. Mitchell recently performed Beethoven’s Symphony No. 9 with the Philadelphia Orchestra at Saratoga Performing Arts Center; Over the Rainbow - an evening honoring Harold Arlen at Weill Recital Hall at Carnegie Hall; Barber’s Knoxville: Summer of 1915 with the Louisville Orchestra; a début with the New World Symphony in Alberto Ginastera’s Cantata para la América Mágica; the world première of composer Steven Stucky’s August 4, 1964 with Dallas Symphony Orchestra; her Boston Symphony Orchestra début as the soprano soloist in Wynton Marsalis’ All Rise under the direction of Kurt Masur; and the soprano solo in Tippett’s A Child of our Time with the Washington Chorus at Kennedy Center. She has also performed with the Philadelphia Orchestra, New Jersey Symphony, Princeton Symphony Orchestra, the New York Symphonic Ensemble at Alice Tully Hall, and with Branford Marsalis and the Garden State Philharmonic. Additionally, she performs in recitals annually at Harare International Festival of the Arts in Zimbabwe. Ms. Mitchell is an alumna of the Houston Grand Opera Studio, where she performed a variety of roles including stand-out performances in contemporary operas such as Orquidea in Daniel Catán’s Salsipuedes (world première), Myhrrine in Mark Adamo’s Lysistrata (world première), Barena in David Alden’s production of Jenůfa, and The Water in Rachel Portman’s The Little Prince (world première) directed by Francesca Zambello and conducted by Patrick Summers. Ms. Mitchell was previously a member of the San Francisco Opera’s world-renowned Merola Program. She then joined Wolf Trap Opera in performances as Alice Ford in Antonio Salieri’s Falstaff, Donna Elvira in Don Giovanni, and presented a recital with renowned pianist Steven Blier. 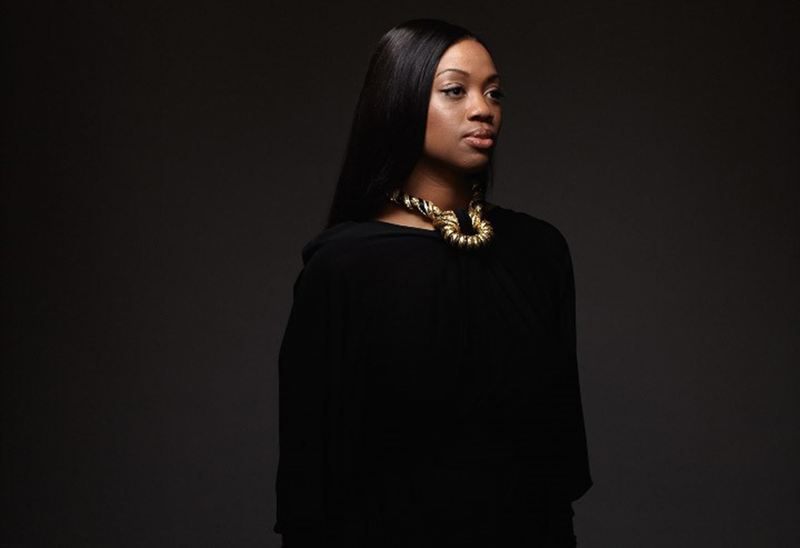 A native of New York City, Ms. Mitchell was a 2004 Metropolitan Opera National Council Auditions Grand Prize Winner, and was awarded a Sara Tucker Award. She was also the First Prize Winner of the Wiener Kammer Oper’s Hans Gabor Belvedere Competition, making her the first American to win this competition in over twenty years. Additionally, Ms. Mitchell was the First Prize Winner of the Houston Grand Opera Eleanor McCollum Competition for Young Singers, as well as the winner of the Audience Choice award. Ms. Mitchell holds a Master of Music degree and the Professional Studies Certificate at the Manhattan School of Music, and completed undergraduate studies at Westminster Choir College.